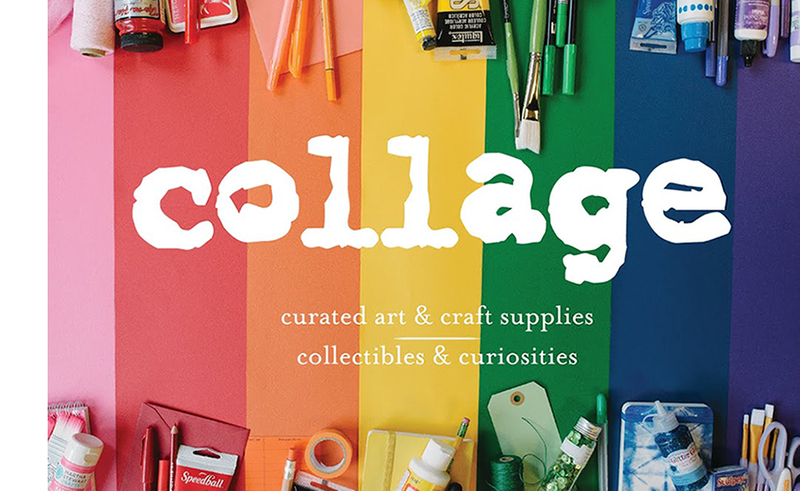 Whether you're looking to make a belated Valentine's gift, or you have a birthday or wedding coming up and want to give a handmade gift to some friends, collage has some awesome, simple options for making jewelry. We wanted to write a post that is all things jewelry! 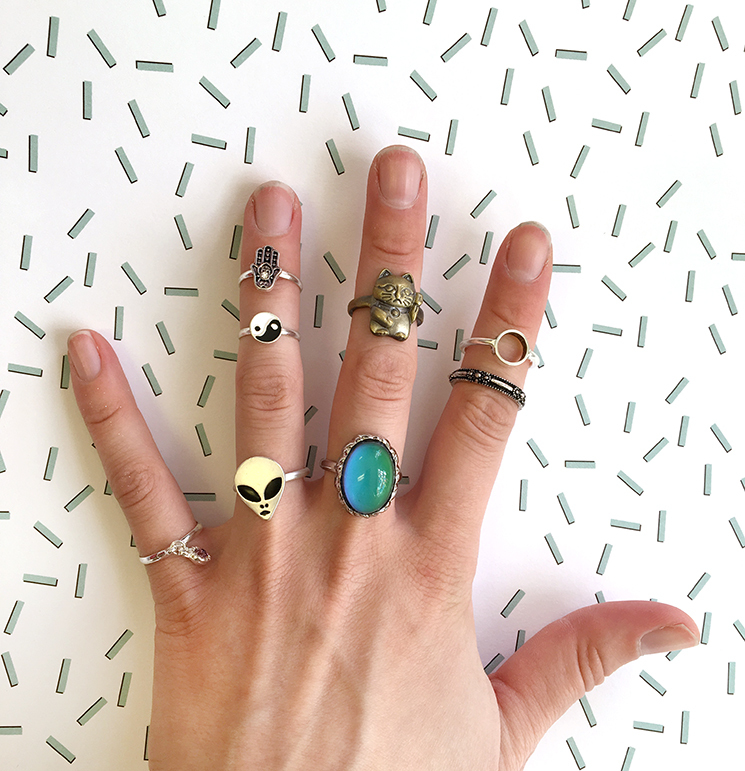 A collection of rings from our jewelry section. collage carries essential jewelry items, like jump rings, clasps, chains, charms, pendants, ribbon, resin, and more. You can easily make a cute piece of jewelry for under $10! We also have a lot of inexpensive, prefabricated jewelry (see a small selection of our rings, above). Click the jump below to learn some basics about jewelry making, specifically about necklaces; all supplies are available at collage. Valentine's Day is right around the corner (Wednesday the 14th)! 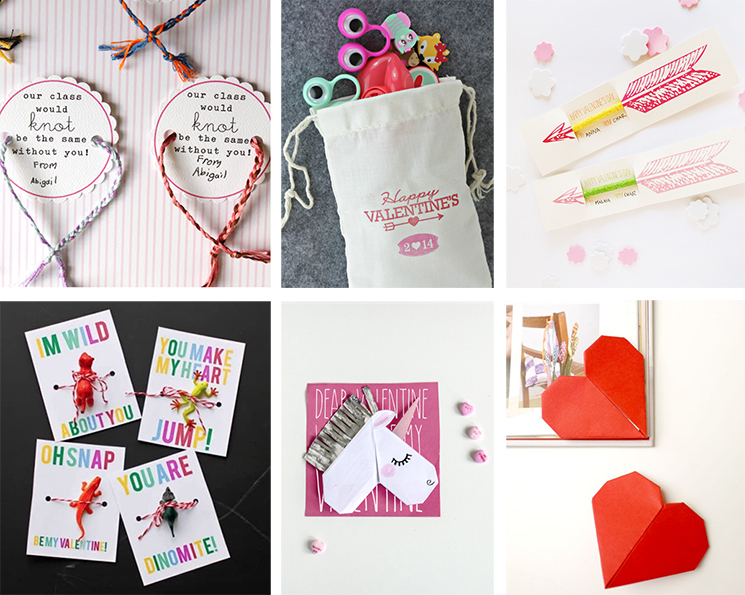 Whether you need to make valentines for an entire school class, or just for your favorite person, collage has so many goodies for you to make that special gift. For links to all of these crafts, hit the jump button below! We've rounded up some easy valentine DIYs from around the web this week, click the jump below to learn more!